When Tony Fu moved to rural Saskatchewan to put down roots for a new life, he was "shocked" to hear how his new neighbours reacted to his family's arrival. The man he bought the farm from warned Fu that some people in the area wouldn't want to talk to him. After selling his land to Fu's family, he said people in the local coffee shop had asked him: "Oh, you sold to the Chinese, did ya?" Fu is among aspiring Canadian-Chinese farmers who are facing this hostility in their new homes. "I would say maybe 19 out of 20 local residents, they're all really great … If we asked for help, you know, they're always there," Fu told The Current's guest host Piya Chattopadhyay. "But it's ... the last of the 20 people that, you know, could have a problem with you, and the problem here is that they're always the loudest and they're always the most vocal about these things." 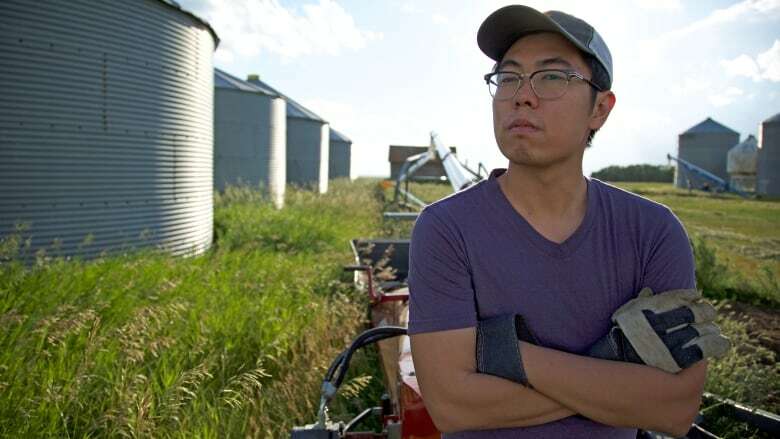 The Fu family is featured in the new CBC Docs POV documentary My Farmland, which explores the impact of Chinese investment in Canadian agriculture through the lives of three families in Saskatchewan and Ontario. The documentary reveals that some long-established Canadian farming families are worried about the impact of foreign investment on their livelihoods and identity. They've seen Chinese investors buy up big blocks of land around their communities, only to leave them unattended or rent them out to others. That's left local farmers grappling with increasing land prices, and fears that their communities could disappear. But some families, like Fu's, are simply trying to realize their own dreams of making a livelihood out of farming. Director Diana Dai hopes her film will serve as a "bridge" between local farmers and newcomers of different backgrounds, so they can see each other's strengths. "People from different backgrounds can walk side-by-side," she told Chattopadhyay. "I think it is what Canada [is] about." The documentary airs March 15, on CBC Docs POV at 9 p.m., and 9:30 p.m. in Newfoundland and Labrador. You can stream it on the CBC Gem app the same day, starting at noon. Written by Kirsten Fenn. Produced by Samira Mohyeddin and Alison Masemann.